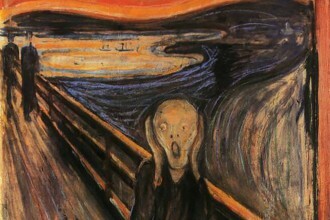 So, at the moment, Britain is in a fairly chaotic state. 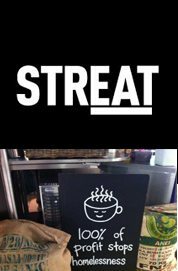 The country has a Prime Minister who we did not vote for, Boris Johnson got a haircut and was given the job as Foreign Secretary, and something called Brexit has been successful in dividing the country and potentially damaging the future of younger generations. The establishment is currently unreliable and insecure. 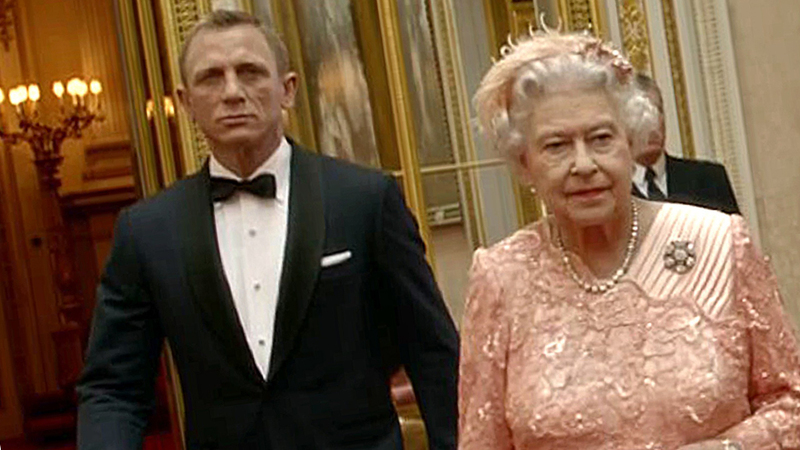 That is, with one exception, our Queen – Her Majesty Queen Elizabeth II. Having ruled for almost 64 years, the Queen has lived through much messier political and economic climates than the current situation, and remains a constant solid fixture within the British establishment. To mark the Queen’s 90th birthday, three separate exhibitions are being held at the Royal Palaces of Holyroodhouse, Windsor Castle and Buckingham Palace. 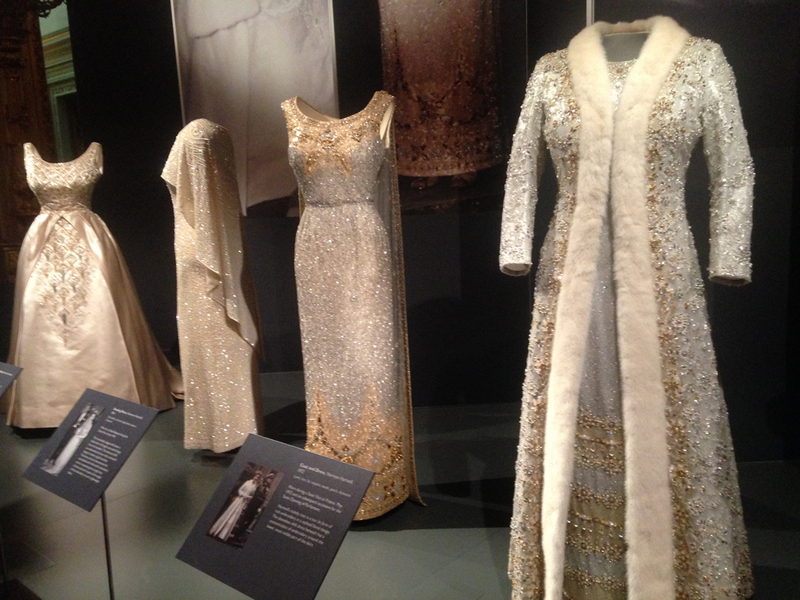 Each exhibit has on display clothes worn by the Queen from different moments in her fascinating life which reflect the location of their display. 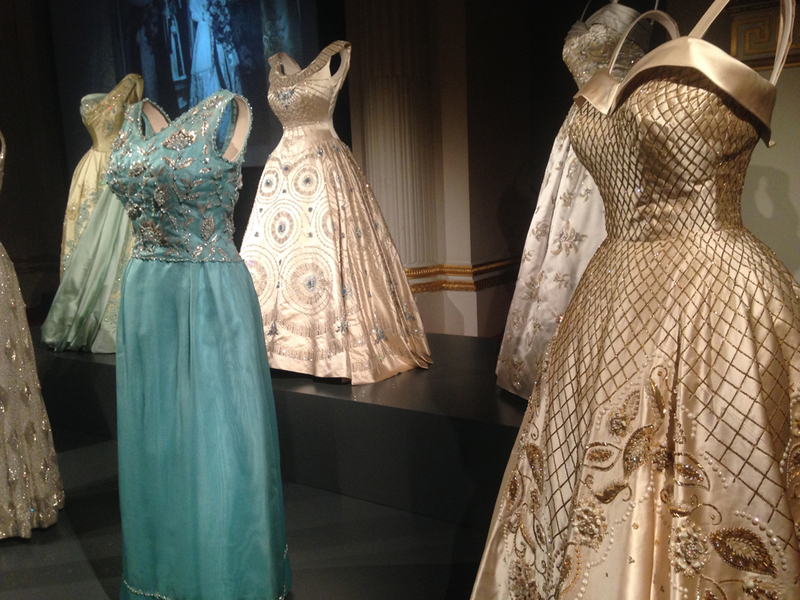 In London here at Buckingham Palace around 150 garments, spanning many decades, are on display, the highlights of which must surely be the coronation dress and wedding dress, supreme examples of British couture. 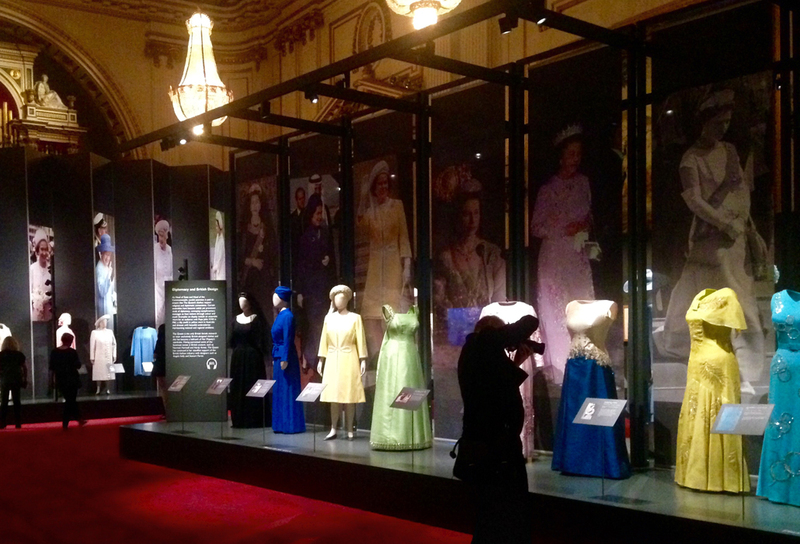 The exhibition Fashioning a Reign 90 Years of Style is displayed over four of the impressive State Rooms. 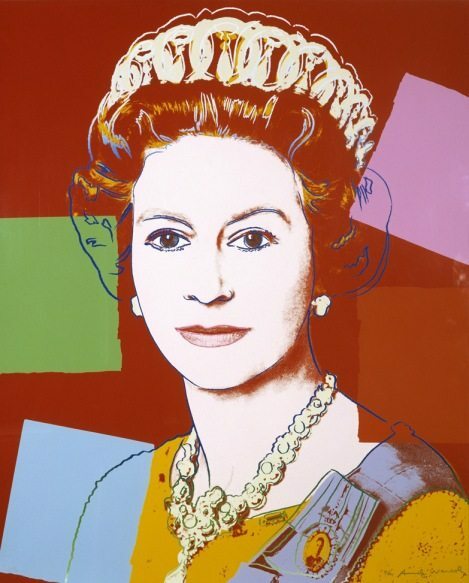 Before entering the first room you are met by screen prints of the Queen by artist Andy Warhol, famous for creating images of celebrities and replicating them again and again. This is something to bear in mind when viewing the costumes on display, as they were designed for and worn by probably the most famous and most photographed woman in the world. Inside the first room we can see a number of images beamed up onto the wall, showing us the Queen on State occasions, international tours and family events throughout her life. 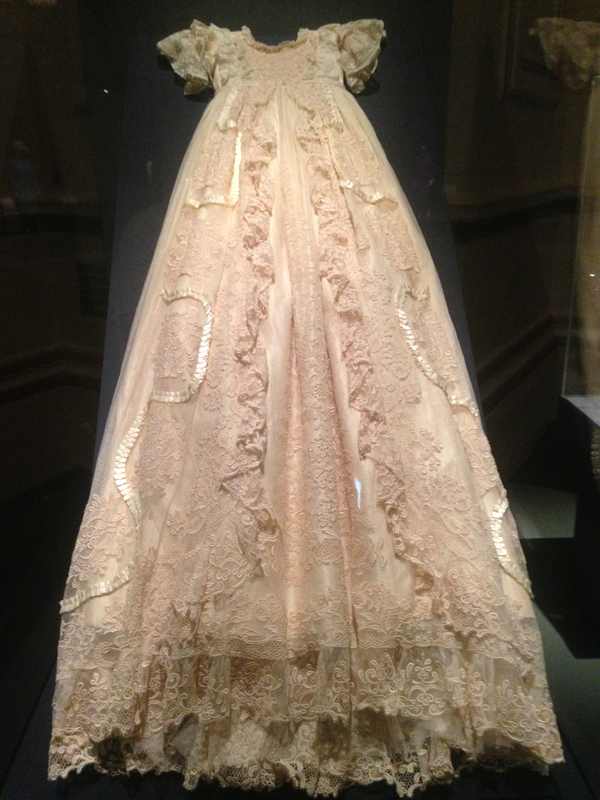 Starting the exhibition is a replica of the christening gown worn by the Queen in 1926. 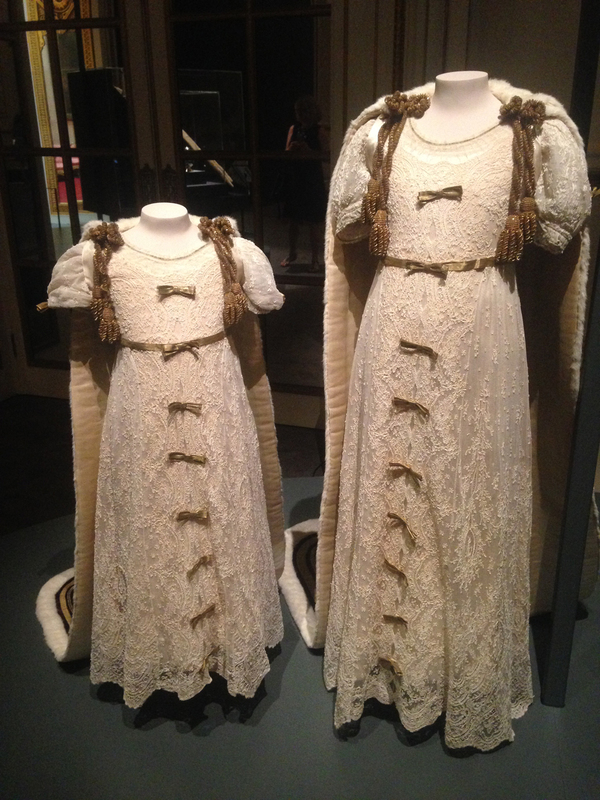 The original, which had been commissioned by Queen Victoria for her first child in 1841, was worn by over 60 royal babies. 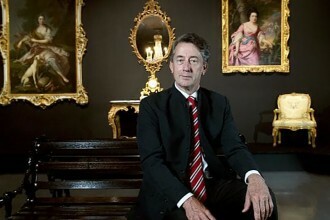 The gown exhibited here today was commissioned by Queen Elizabeth II in 2004. 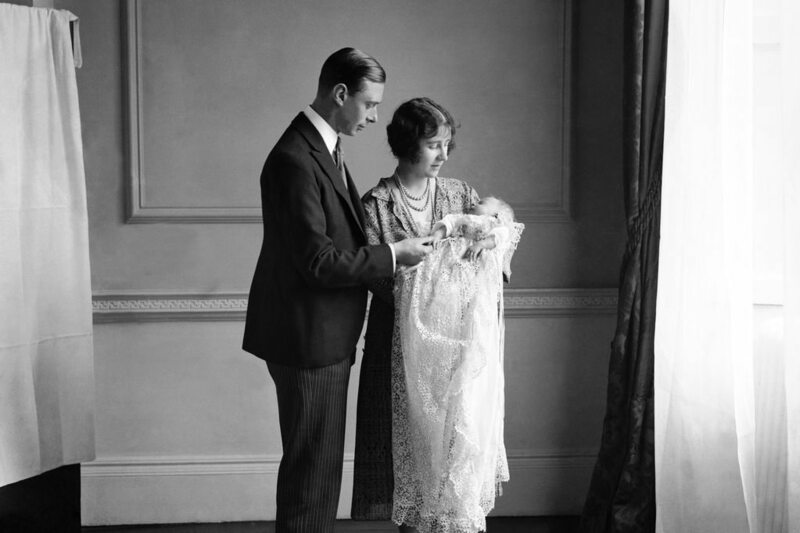 Designed by British designer Angela Kelly, a significant designer of the Queen’s most recent fashions, the christening robe, made of white lace and silk satin, has been worn by both of the Queen’s great-grandchildren, Prince George and Princess Charlotte. 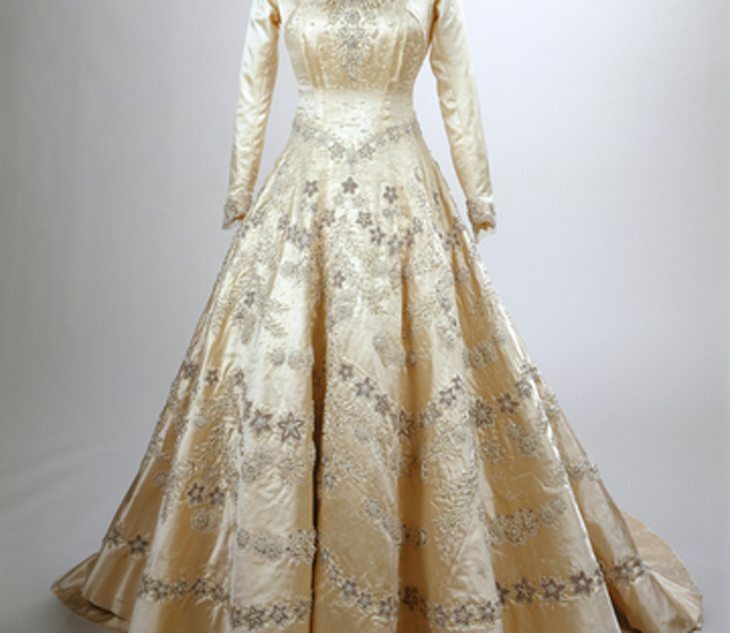 Another dress which recalls a key event in the Queen’s childhood, is the silk, lace and gold thread dress she wore aged 11 during the coronation of her father King George VI in 1937. 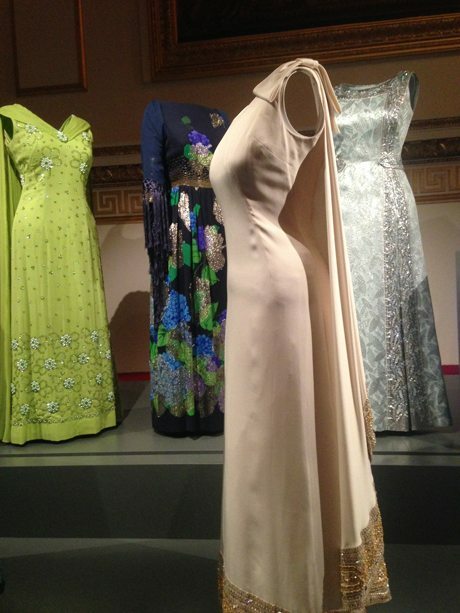 It is displayed beside her sister Princess Margaret’s dress, who was age 7 when she wore it. Beside the dresses are the Princesses’ silver-gilt coronets made by the crown jewellers, Garrard & Co. Ltd.
For many, the Queen in her co-ordinating block coloured outfits, complete with matching hat, will always be her most iconic look. 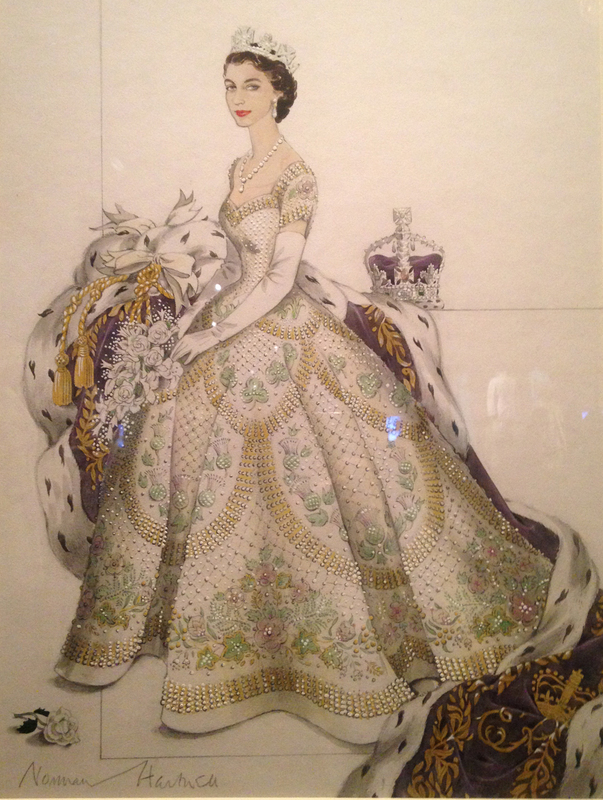 Many of the outfits that are on display in Buckingham Palace however remind us of another Queen, one who would have led fashions and represented the mode of the time. 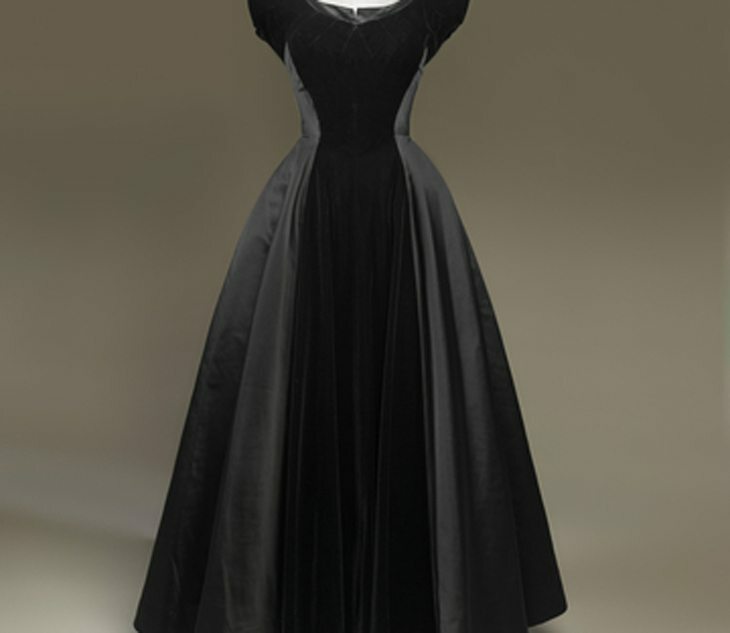 A fabulous example of this is a black silk velvet and duchesse satin evening dress, designed by Norman Hartnell around 1948. 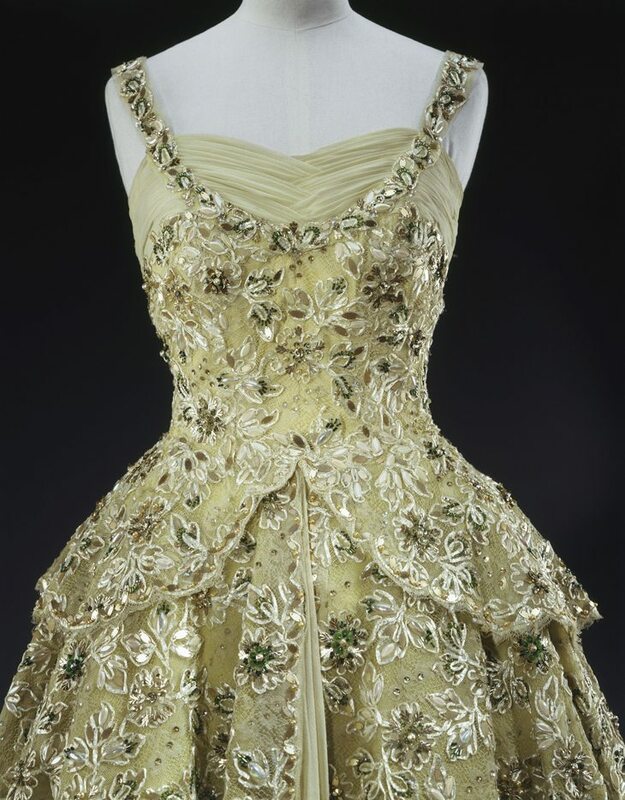 In the style of Christian Dior’s ‘New Look,’ which revolutionised post-war fashion, this dress represents a Queen at the height of fashion, fun and unafraid of expressing her femininity. Norman Hartnell received his first Royal appointment in 1935, the start of a strong and successful relationship in providing fashion for the ladies of the Royal family. 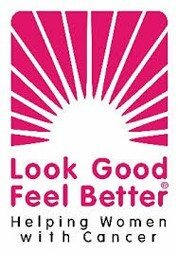 But it would be the relationship between Hartnell and Queen Elizabeth II which would prove to be the truly successful collaborative designer and clientele partnership. The structure of the dress is made from beautifully stiffened silk velvet. The strapless bodice is extremely alluring and features a wide ‘fichu’, a small triangular shawl, around the shoulder line. 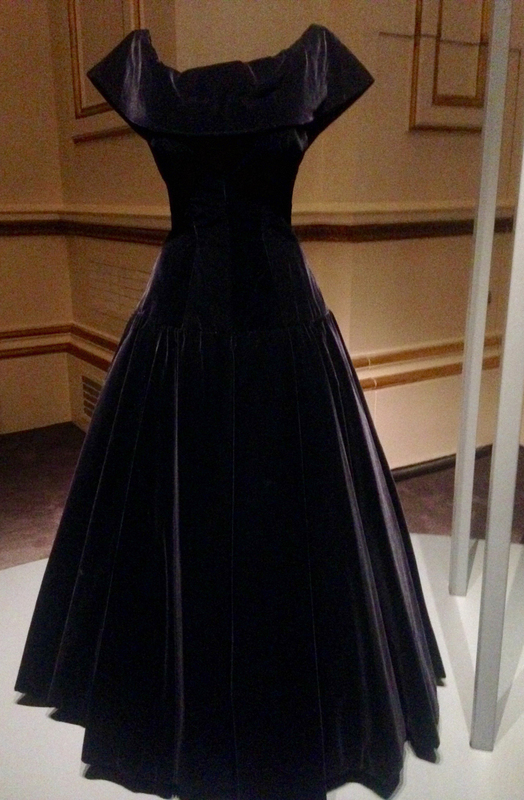 This style was very fashionable in both London and Parisian couture and was typical of the Christian Dior influence. The display continues through the decades from the sixties up to and beyond the year 2000. Each outfit is accompanied by an object or memorial of that particular decade, for example a piece of the Berlin wall, which was given to the Queen by the citizens of the German Democratic Republic is placed beside a rather fetching two piece she wore in the eighties. This initial room is just a taster of what is to come and includes examples of designs by distinguished British designers such as John Anderson, Philip Somerville and Angela Kelly in addition to Norman Hartnell. 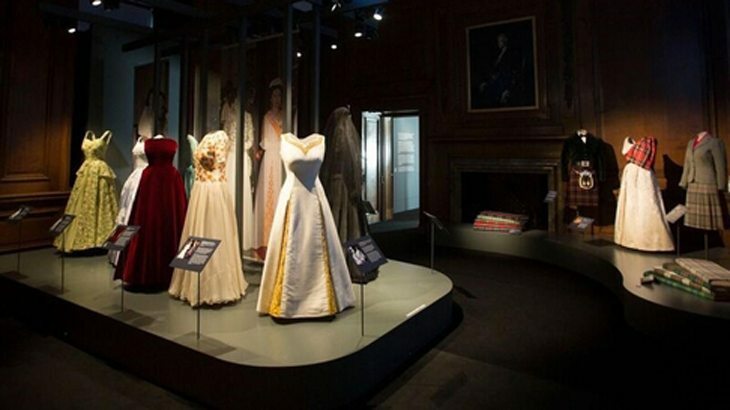 Also on display are the running themes of the exhibition: British History, British Couture, and how this enables our Queen to carry out her Royal duties. Duty is without a doubt the main theme of the next room. 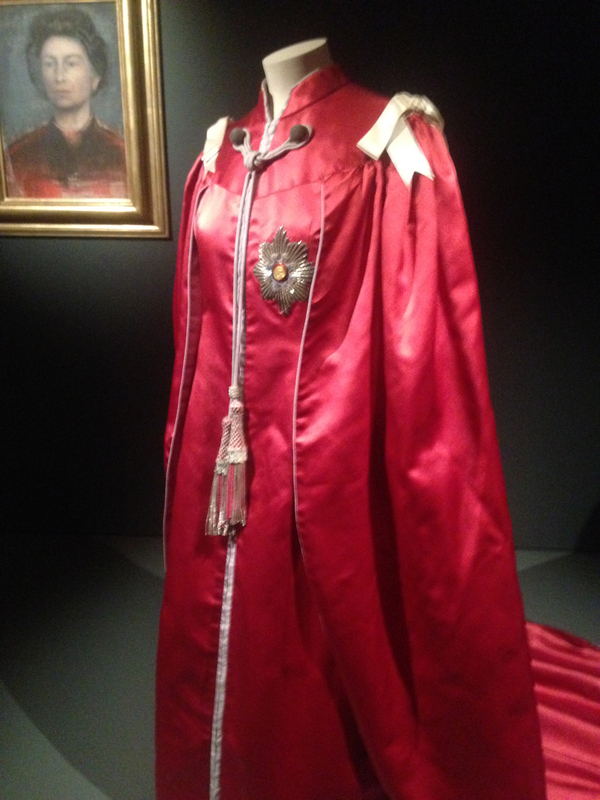 As you enter you are met by the dazzling red satin Mantle of the Order of the British Empire, made by royal robe makers Ede and Ravenscroft and designed by Marion Foale in 1952. Foale was just a 21-year-old student at the Royal College of Art when her design was selected. Normally worn by men, Foale’s unusual design featured a zipped up over dress with the mantle attached to it making it more practical for the wearer. We are also reminded in this room of the Queen as a Princess during WW2. 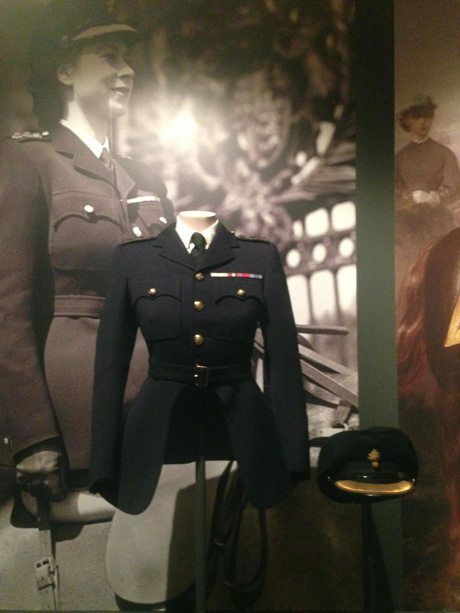 Here are examples of uniform she wore will carrying out her roles in the war effort. In 1945 Princess Elizabeth was made a Sea Ranger Commodore and in the same year, following her persistent wishes to join the Women’s Service. King George VI granted her a commission with the honorary rank of Second Subaltern in the Auxiliary Territorial Services. 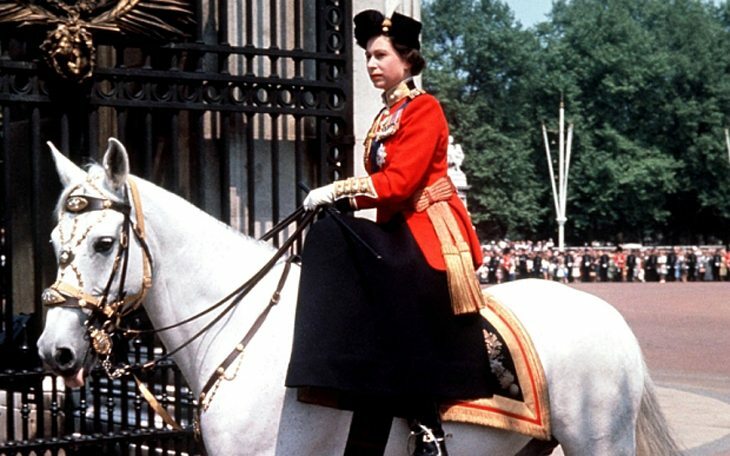 Princess Elizabeth became the first female member of the Royal Family to join the Armed Services as a full-time active member. A few years later in 1947 and still a young princess the Queen became a Colonel of the Grenadier Guards. 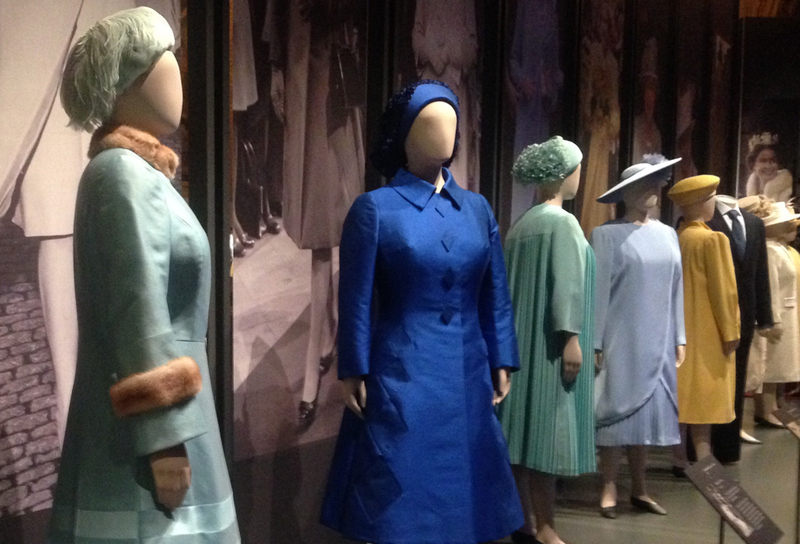 On display is the beautifully tailored blue wool dress tunic and hat worn during the Trooping of the Colour. The jacket was designed to allow its wearer to side saddle. 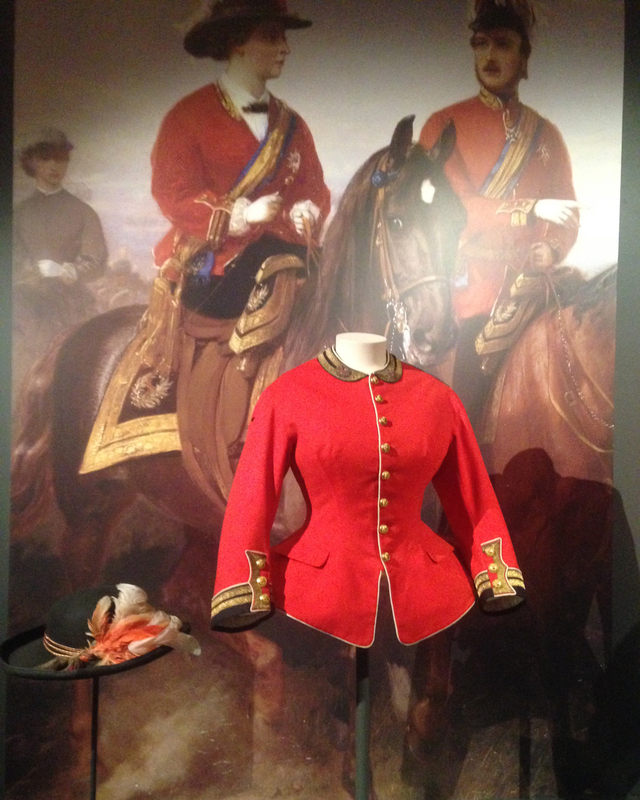 It is displayed beside Queen Victoria’s rather flashier and more feminine Military tunic and hat. 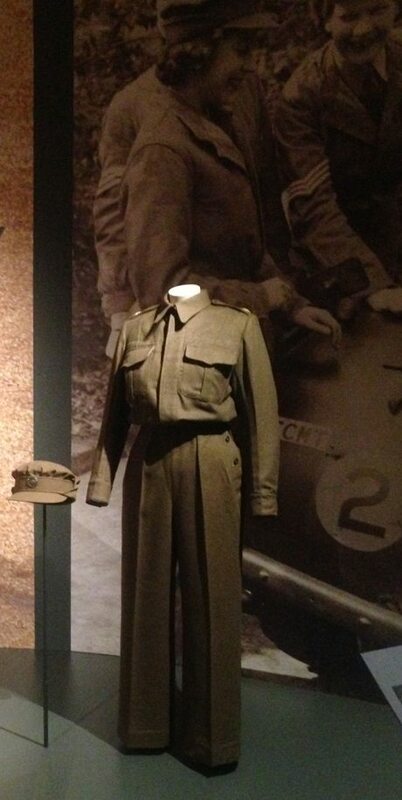 Not to be outdone, however, we have The Queen’s Military Tunic and hat. On her accession to the throne she became Colonel-in-Chief of the Grenadier Guards. This tunic was created for her by the equestrian and livery tailor Bernard Weatherill. 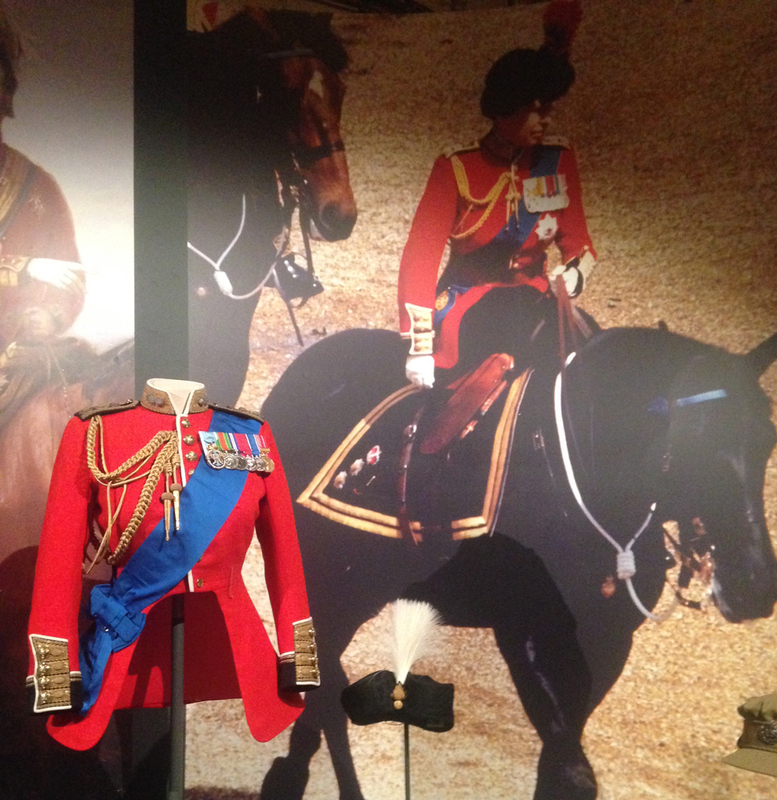 The tunic is designed in a similar way to that of the Guards regiment, but is cut away from the waist to allow for riding side saddle. 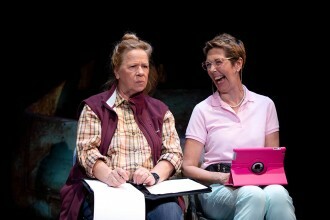 I have to say the following gallery is my particular favourite. 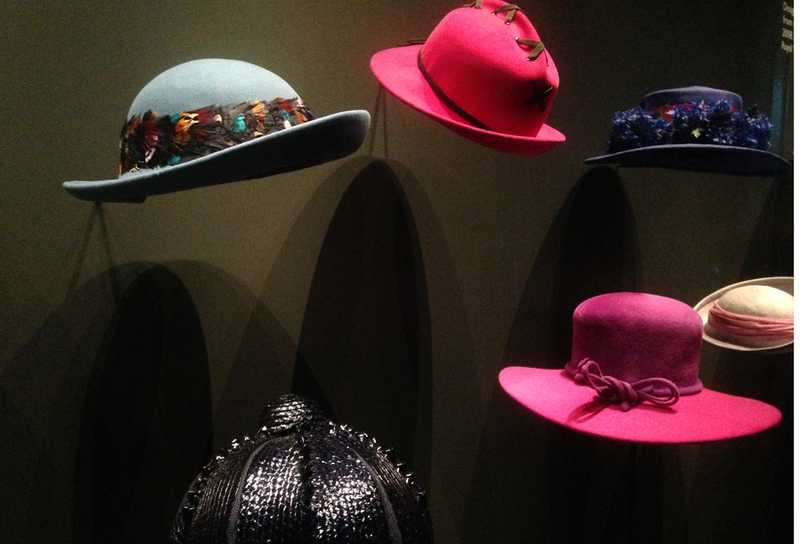 Displayed in a dark recess and lit up by spotlights is a wave of hats mounted on the wall. 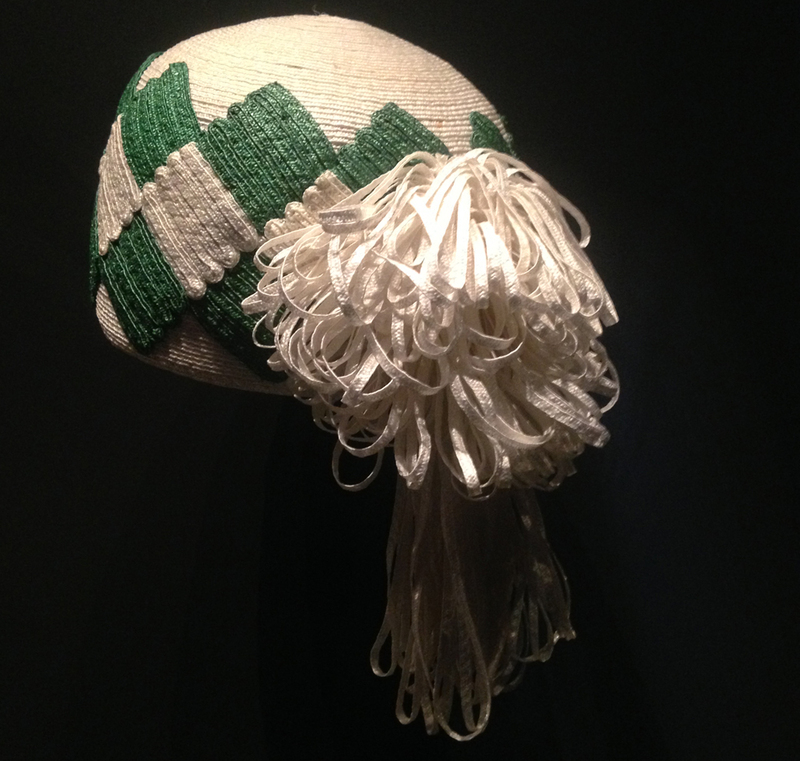 The Queen’s choice of milliners was influenced by her grandmother Queen Mary and by her mother Queen Elizabeth. 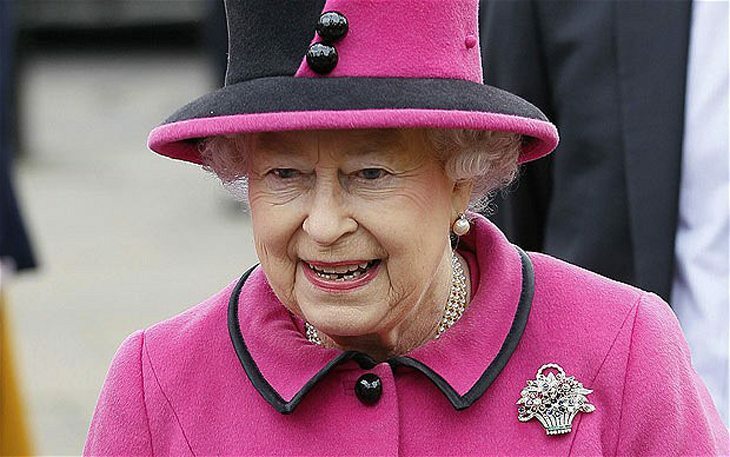 The Queen is famous for her use of hats, which allow her to cut a recognisable figure amongst often large crowds of people during celebrations and important events. Since 1930 to the present day, 11 milliners have worked for the Queen, many of whom at the front of British couture millinery and have had the honour of receiving the Royal Warrant. Examples seen in this room, including designs by Aage Thaarup and Simone Mirman, are essentially works of art and fantastically displayed to highlight this. Now for the pièce de résistance – the displays held in the spectacular chandelier-ceilinged ballroom. Here you will find costumes which will make the heart of any aspiring princess skip a beat, and have wannabe designers stand in awe of their craftsmanship. 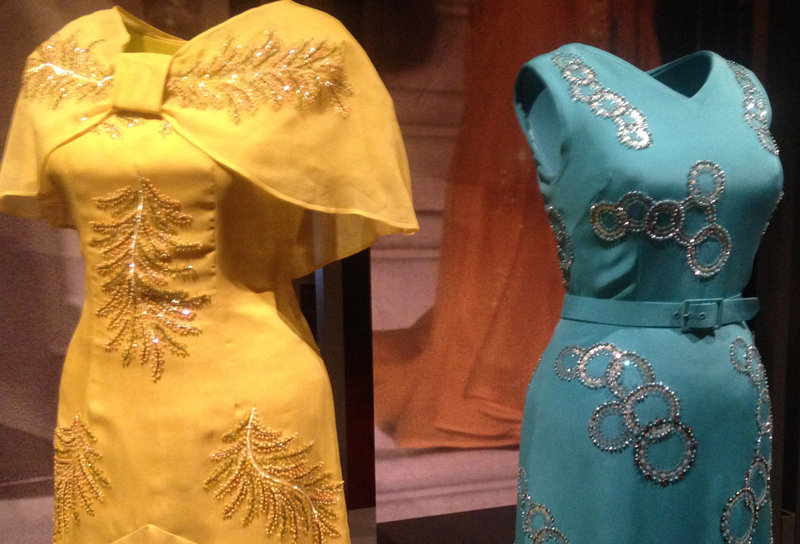 The highlights of this incredible display are the Queen’s wedding and coronation dresses. 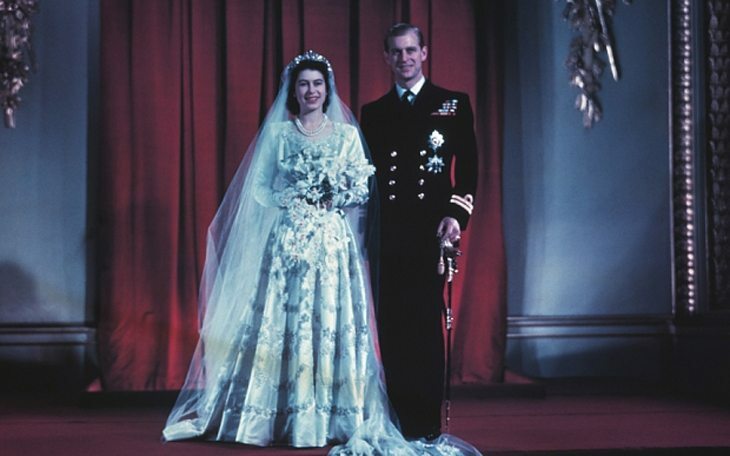 The wedding dress is made from exquisite materials including duchesse satin, silk tulle, seed pearls, crystal beads and silver thread and was designed by Britain’s leading couturier Norman Hartnell. 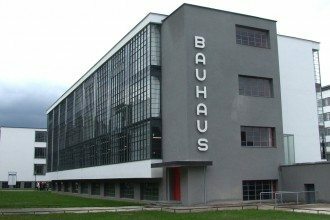 The final designs were approved in mid-August 1947, less than three months before the wedding on 20th November. These were post-war times and in an age of austerity the Princess Elizabeth had to pay for her dress with ration coupons. She was however aided – the government allowed her 200 extra coupons, and in addition to this, supportive brides-to-be from around the country sent her coupons. Unfortunately she had to return these gifts, as it was illegal for her to use them. 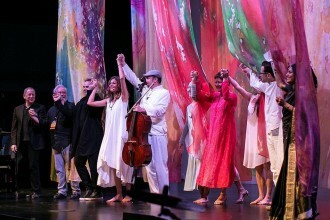 The wedding was seen as a re-birth for Britain and in homage to this Hartnell took inspiration from Botticelli’s Primavera. 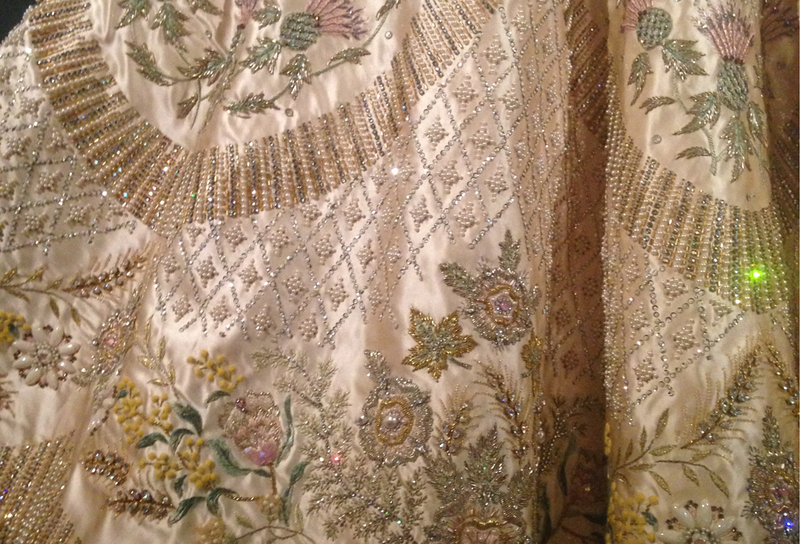 Hartnell’s theatre costume background, exquisite attention to detail and supremacy in British couture is repeated in the visually stunning Coronation gown. 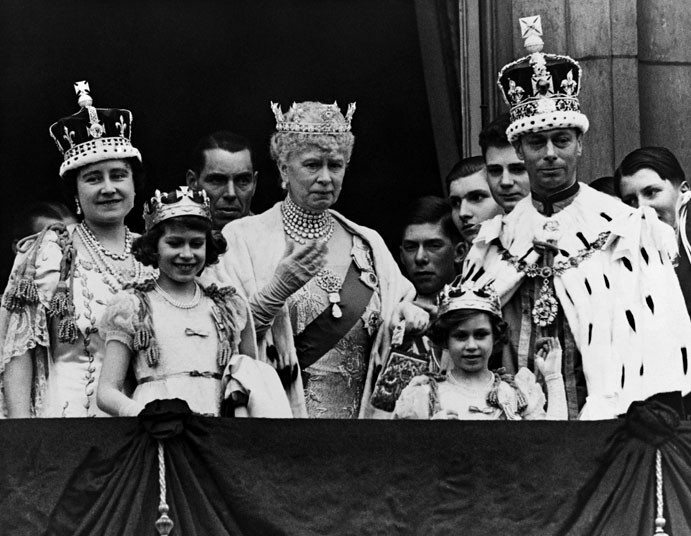 The coronation of Queen Elizabeth II took place at Westminster Abbey in 1953. 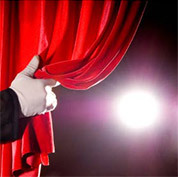 It was to be the first ever televised British coronation, watched by thousands of people across the country, which is where Hartnell’s theatre costume background came into play. 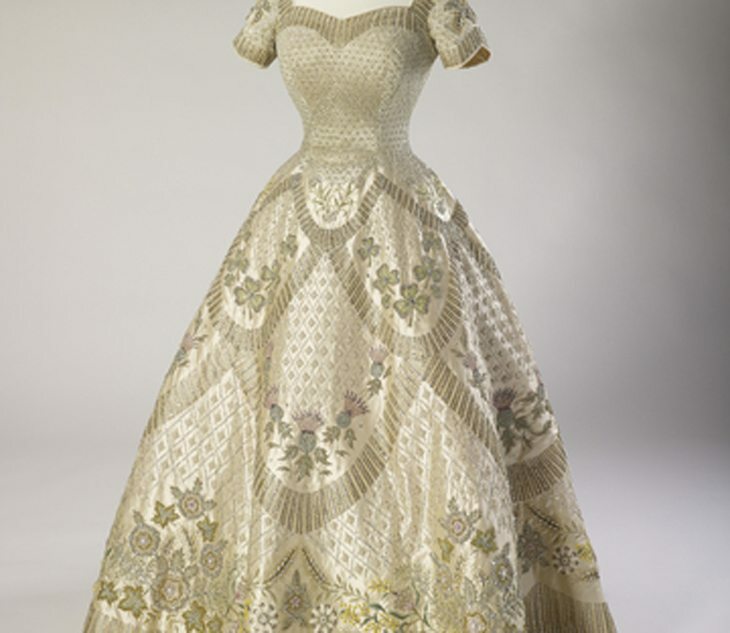 Made of Duchesse satin and embellished with gold and silver threads, pastel coloured silks and encrusted with pearls, crystals and sequins, the gown features the floral emblems of the nation the rose, the thistle, the shamrock and the leek. 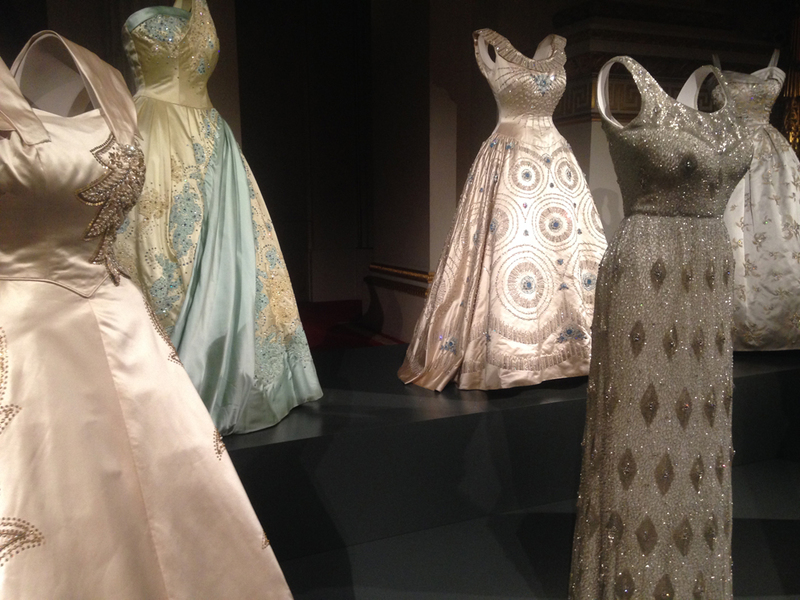 Evening gowns from the fifties and sixties designed by Hartnell and Hardy Amies are a mixture of dream-like fantasy and bejewelled elegance, whispering of State parties and elegant evenings where surely no one would have been able to take their eyes off the Queen. As the most travelled monarch in British history, having visited 116 countries and carried out 265 official overseas visits, an extensive number of dresses displayed in the ballroom are from state visits. Many of them were designed and used for state visits during the seventies and have the recognisable silhouette of that decade with a cape or train at the shoulders. The dresses were designed in accordance with the climate, customs and national emblems of the country the Queen was visiting. A vivid green dress worn for a State Banquet by Emperor Haile Selassie of Ethiopia matches the colour of the Ethiopian flag. A dark blue chiffon dress with bold floral pattern was worn with a chiffon shawl edged with tassels during a State visit to Mexico. 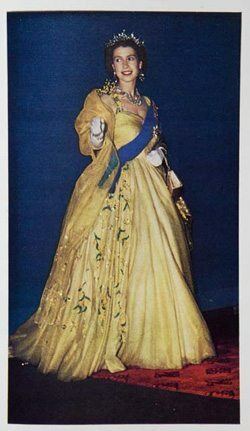 During the Queen’s 1974 visit to Australia she wore a yellow chiffon dress with a bias cut skirt and silk shoulder cape designed by Ian Thomas. 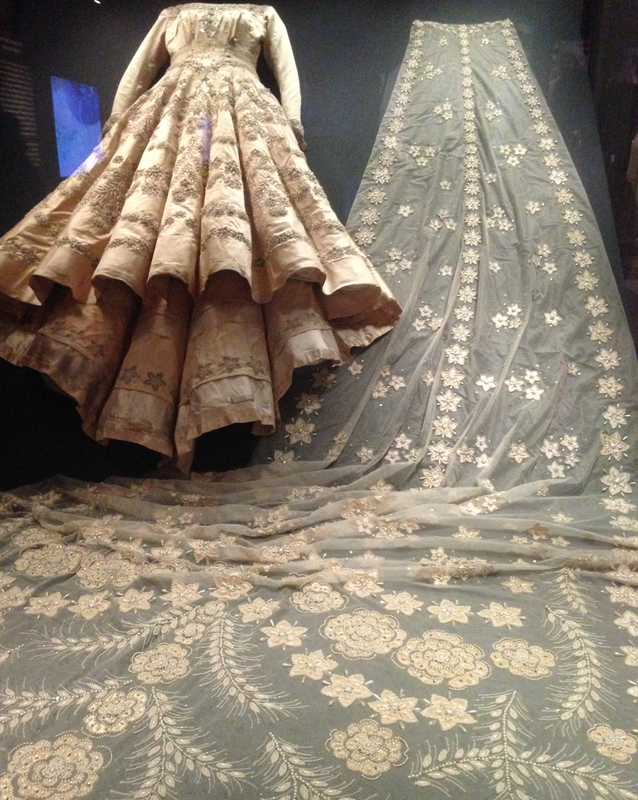 The dress is embroidered with large sprays of wattle, the national flower of Australia. These dresses are bold and fun but also carry with them a diplomatic message. Rows of block coloured coats and matching hats tailored to perfection make a striking visual display. Emphasizing the Queen’s iconic look and style of the past three decades. The pinnacle of this bold coloured look, lets face it nobody does colour quite like the Queen, is British designer Angela Kelly’s controversial neon green coat and matching hat the Queen wore for her 90th birthday celebrations. Kelly has been working with the Queen for the past decade and her design certainly reflects a Queen who has a strong sense of self, knows what she likes and is not afraid to have fun with it. This spectacular exhibition is a must. 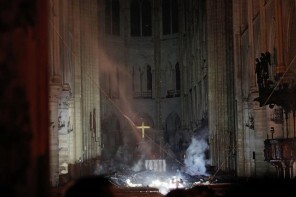 It represents British history, British couture and the life of an incredible woman who has been patron to both of these elements during her time as Monarch. You will leave the State Rooms and the exit Buckingham Palace having almost cleared your mind of the concerns Britain is currently facing. 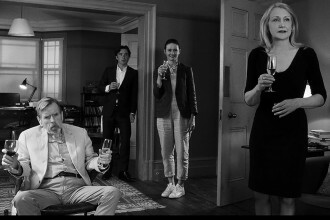 There are still things we can still be proud of, including our Queen and her impeccable sense of style.